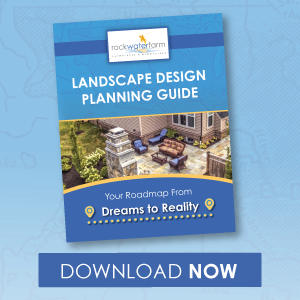 When you’ve invested in a landscape project, you want to see the final result come together the way you envisioned. The last thing that you want is to be left with an outdoor living space that’s not only not what you wanted, but one that has a lot of mistakes. Unfortunately, that was the case for this landscape design in Ashburn, VA. 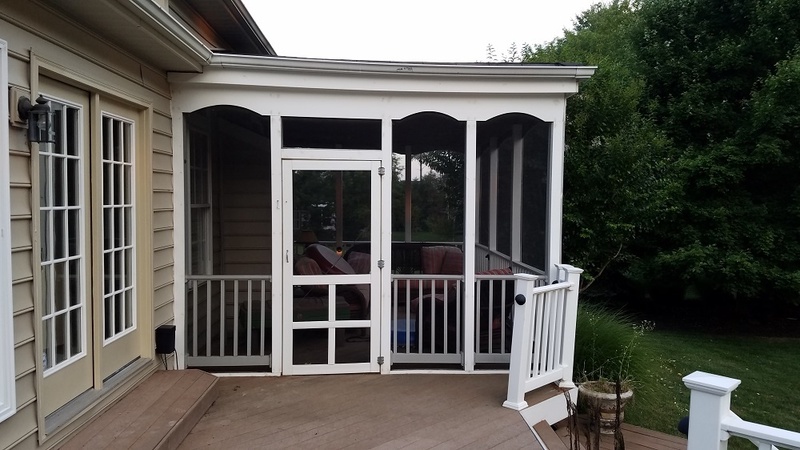 When we were brought in, the Czajkowski family expressed to us that they were incredibly unhappy with the screened-in porch and deck they had gotten built by another contractor. There were quite a few problems with its design and construction. For one, the screened-in porch that had been built for them was much smaller than what the family had wanted. In fact, they couldn’t even fit all of their furniture out there. It was tight and uncomfortable to even spend time out there. But the fact that the space was smaller than they’d wanted was actually the least of their problems. The bigger concern was the fact that it had begun to fall apart. Because of faulty construction, it was sinking in areas and potentially posed a risk of collapse. The company who had built it was now bankrupt and these homeowners were left with a nightmare. Nothing was salvageable because it had been built improperly. That meant starting from scratch. Fortunately, by doing so, we were able to turn this family’s nightmarish outdoor living area into one from their dreams. The finished space is essentially now three separate outdoor living spaces, each of which met some very specific needs for the Czajkowski family. Now that this family had learned the hard way what they didn’t like, they had some very specific ideas in mind for their new space. 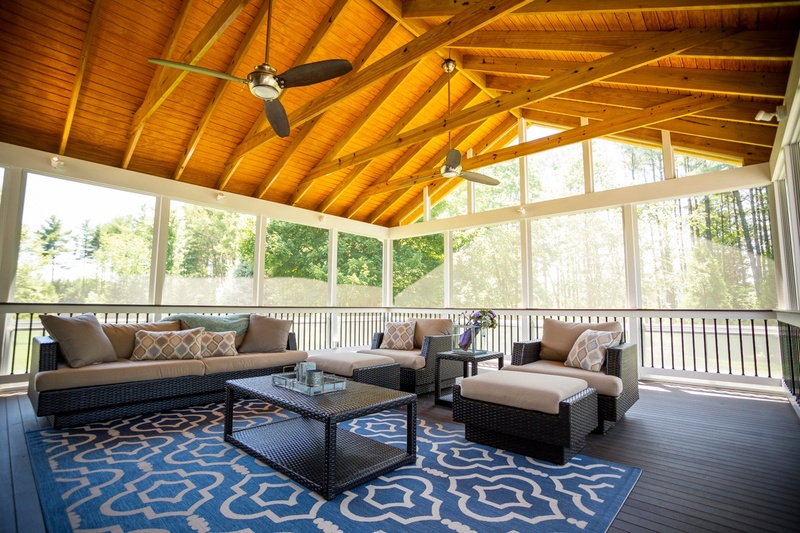 Jill Czajkowski says that although she loved the idea of the screened-in porch, her allergies made it difficult to be out there as often as she would have liked. That’s why we suggested a three-season room with a high-quality screen and collapsible vinyl windows. When the pollen is bad, Jill says that she can put the windows up and still be out there. Though the homeowners had initially explored the idea of a true addition, Jill says that it was cost-prohibitive. This three-season room has essentially given them the same feeling as an addition, with extended living space, but in a truly unique way. “It’s big and spacious and we spend a tremendous amount of time out there,” Jill continues. Besides entertaining for family and friends frequently, Jill also hosts an annual benefit to raise funds for her charity, Catherine’s Light, through the Inova Hospital Fund. Having been through the loss of a child at birth, Jill started the fund in order to be able to provide memory boxes to families who lose an infant child and to assist families who do not have the means to provide for proper burial or cremation. Every year, around Christmas time, the family hosts 150+ people for a dinner in “The Lodge” as a fundraiser. A particularly unique feature of the design is a two-way fireplace built into the wall. The family can enjoy it both from their living as well as in The Lodge. 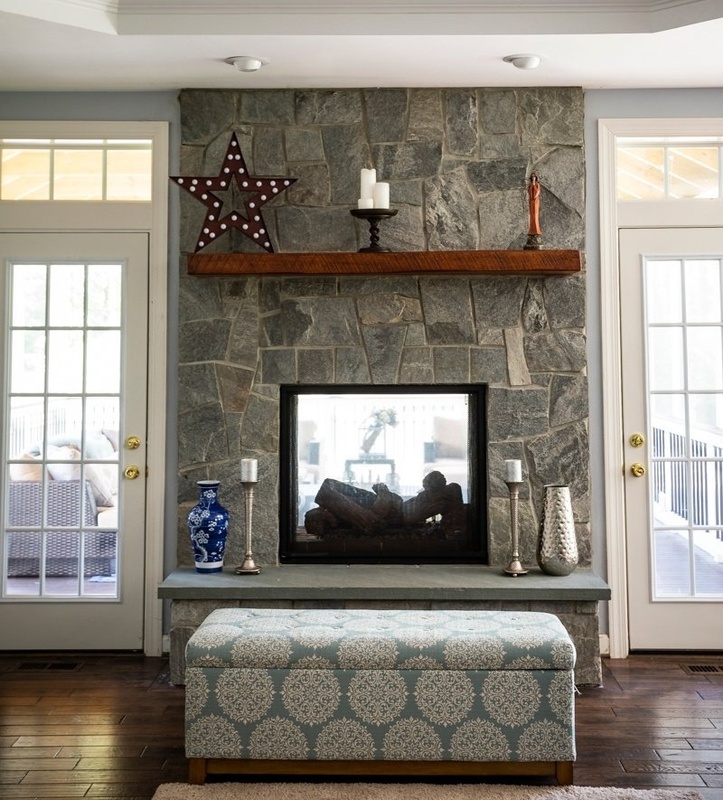 They also added doors flanking the two-sided fireplace in order to allow as much light into the living room as possible and to not obstruct the outdoor view. It also helped make The Lodge feel like a true extension of the home as the two rooms blend seamlessly. The Lodge was one big piece of this new landscape design, but it wasn’t the only one. The Czajkowski family was also looking for an outdoor kitchen as well as a fire pit area that would feel like a cozy escape. The new outdoor space started with a gorgeous flagstone patio. 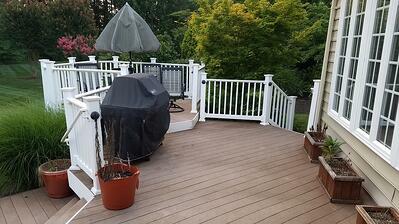 The family also wanted an outdoor kitchen that would have ample space for both food prep and seating. With two boys who played sports, it was quite common to have the team over after a game and the Czajkowski family wanted a space where they could host those get-togethers. 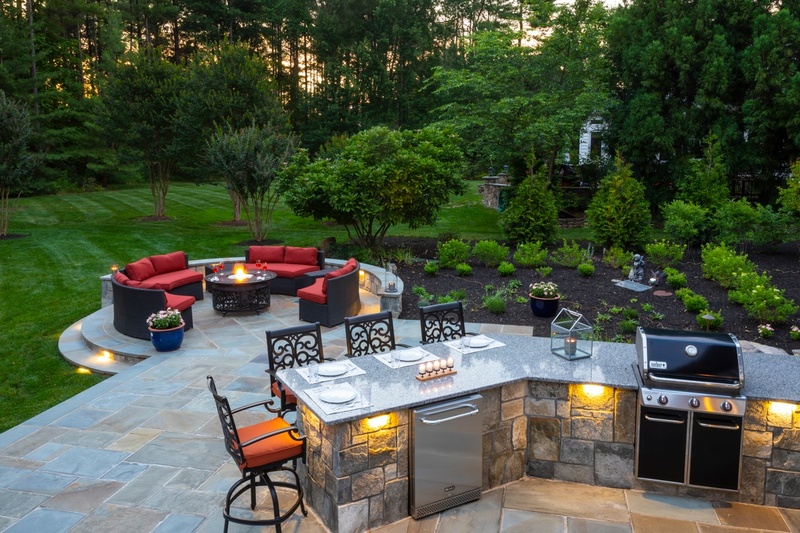 With the new outdoor kitchen, there is ample space to the right of the grill where food can be prepped and ready to cook. And there is plenty of counter space to set up food buffet-style when it’s finished. There is also an outdoor refrigerator where they can store beverages. 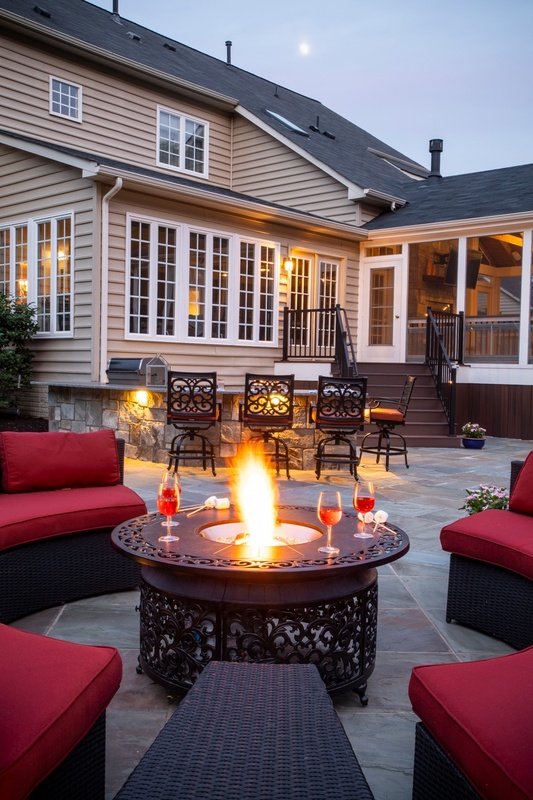 Besides the kitchen area, the family also want a cozy nook for a fire pit area where they could relax as a family or invite friends over to socialize. It was designed as a circular space for that intimate feel. It also features a seating wall for extra space. Jill says that she also wanted the landscaping to include a memorial garden for Catherine and that element of the design has been particularly meaningful to her. “A lot of the landscaping around the patio is part of that memorial garden so whenever I’m outside I feel like I’m around her,” Jill says. 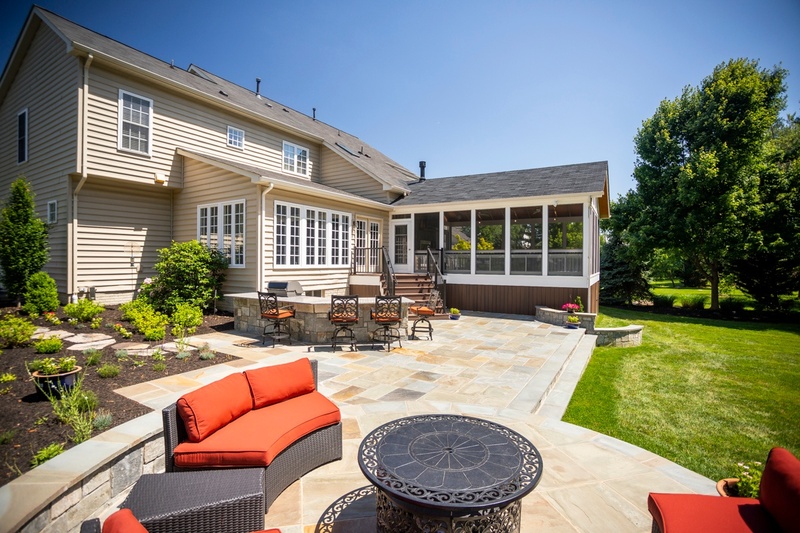 The Czajkowski family will admit their outdoor living area started as a bad experience. What they had hoped would be a dream space, lead to a lot of hassle and stress. Unfortunately, we see stories like this more than we’d like. The truth is, we hate to see families in our area get taken advantage of by landscapers in Ashburn, VA who cut corners or who don’t really know what they’re doing when it comes to a large-scale outdoor project. 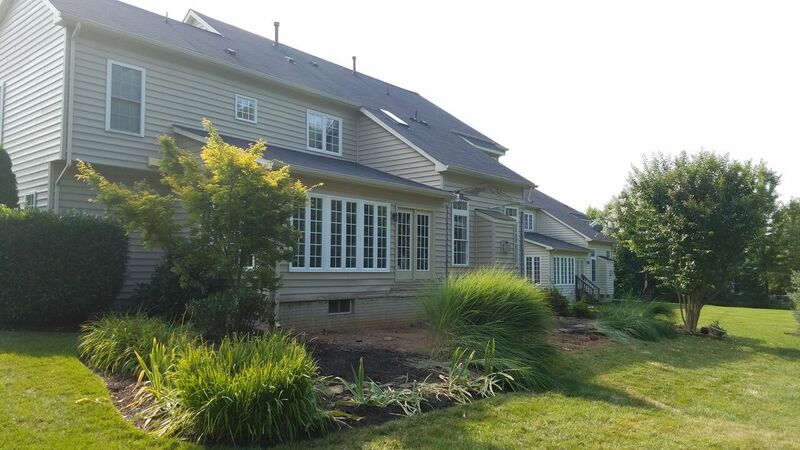 We were so glad that we were able to take this project and turn it around for the Czajkowski family. The family of four now has the space that they truly wanted along with the peace of mind that it’s not going to fail them. Jill says that having been through a negative experience with a previous contractor, that peace of mind has been invaluable. Whether you have an existing project you’re unhappy with or you’re starting from scratch and trying to avoid a construction nightmare, we are here to assist. 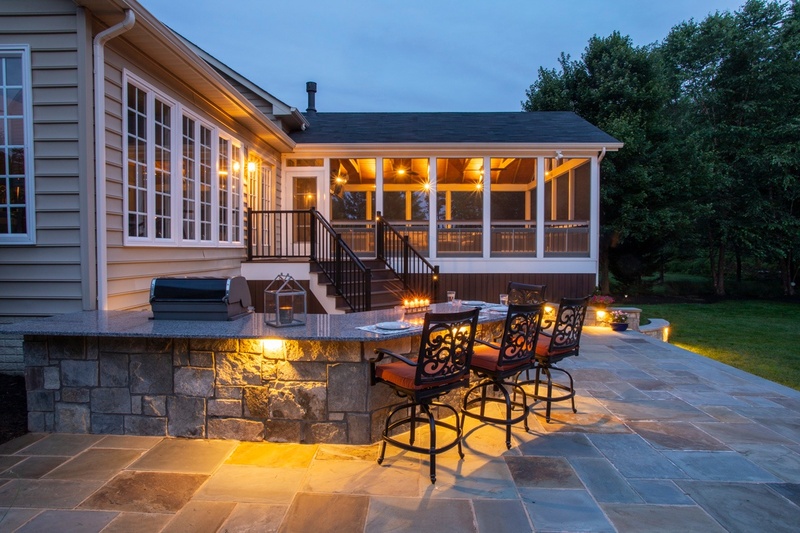 If you’re ready to bring your ideas to life at your Ashburn, Aldie, or Leesburg, VA home, talk to an expert, choose a solution that rocks, and then get ready to see that dream come to life. Lawn Aeration in Ashburn, VA: Do I Need One? How's it Done and What's the Cost? Todd Thomasson, founded Rock Water Farm Landscapes & Hardscapes in 2005. Having grown up with hard working parent role models and a strong work ethic, Todd put his Landscape & Turf Management degree from Virginia Tech into action as the lead stone mason and landscape designer for the new company. 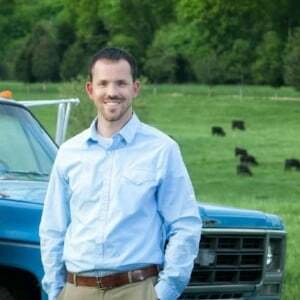 Over the years, the responsibility and opportunity of running this company has been shared with other members of the Rock Water Farm team, launching one of the leading property maintenance companies in Loudoun County. 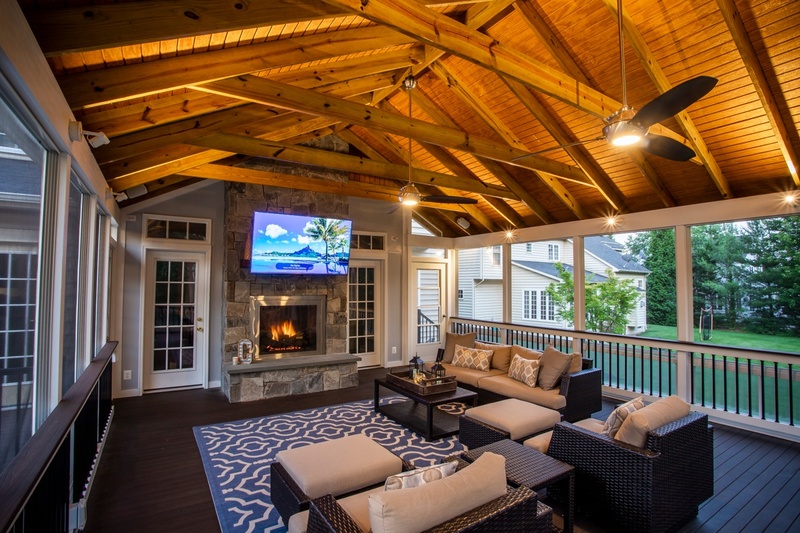 Todd is still rooted in his passion for design/build projects and continues to run the company, working with clients to design, build and maintain perfect outdoor spaces with his team.